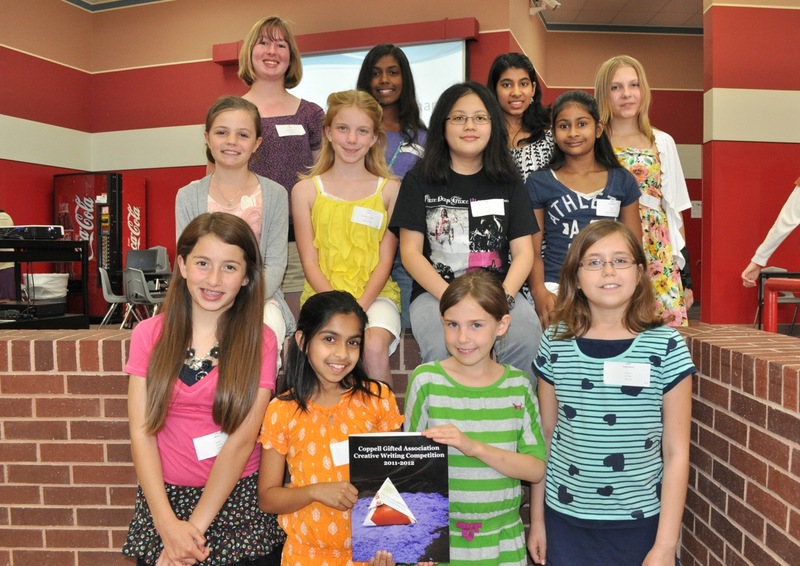 Over 265 passionate and talented writers participated in the Coppell Gifted Association’s 2011-2012 Creative Writing Contest. The third through twelfth grade participants submitted poetry, fiction, and non-fiction works in December and winners were announced the week of February 6. Twenty judges supported the competition this year by reviewing the entries and selecting the winners. Our judging panel included authors, teachers, librarians, and administrators. The student’s writings were judged primarily on artistic expression; however, technical merit was also a factor. Congratulations to the young writers who received 1st place or honorable mention in this annual creative writing competition. The judging panel was very complimentary of all entries received. The Book Release Party was held April 4, 2012. Pam Cope, celebrated author of Jantsen’s Gift attended as a special guest. The winning entries have been published in a book that is available for purchase for $20 each. If you are interesting in purchasing a copy please contact Elizabeth Chappell, President Coppell Gifted Association, at President@CoppellGifted.org. From left to right, in the back row: Kelly Hall, Abhi Manivannan, Ananya Rajesh, & Ardi Saunders; middle row: Isabelle Hernandez, Maddie Hulcy, Katy Lee & Manasi Ramadurgum; front row: Ashley Rivera, Anvita Ukidwe, Isabella Zeff & Emilie Sangerhausen. Not present: Rachel Sandle & Aadam Husain. This is an annual event. Please click here for more information.